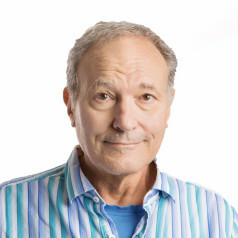 This VC Spotlight article, from Mike Klasco includes some really great insight on upcoming developments and new companies active in the MEMS field. Microelectromechanical systems (MEMS) loudspeakers are just now appearing. 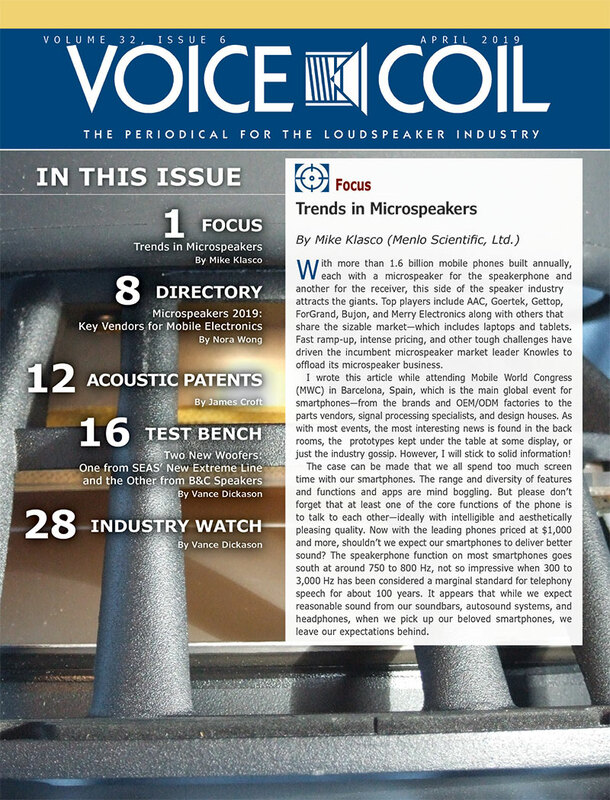 As Mike explains “this is a really new technology, so new that only recently were functional lab prototypes operational.” Article originally published in Voice Coil, May 2015. At The Association of Loudspeaker Manufacturing & Acoustics (ALMA) International in January 2015, I gave a talk on microelectromechanical systems (MEMS) loudspeakers, and quite a few inquiries followed. As a follow up to last month’s focus on microspeakers, we thought it might be time for an article on MEMS microspeakers. This is really new technology, so new that only recently were functional lab prototypes operational. 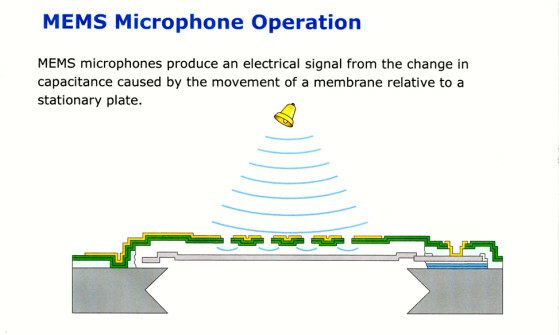 Photo 1: This diagram illustrates how a MEMS microphone chip operates. MEMS is the technology of very small devices, usually consisting of a micro-sensor/transducer and an application-specific integrated circuit (ASIC) that processes data (e.g., codec functions and amplification). We will examine MEMS devices in general, provide a basic explanation of how a MEMS speaker works, and what commercialization challenges are ahead. When MEMS speakers are viable commercial products, we will also need to consider their practical applications, projected unit costs, and acoustical strengths and weaknesses. MEMS development over the last three decades has been slow and painful. The semiconductor industry’s favorite joke regarding MEMS development schedules are that they are calculated in dog years (seven times that of human years). However, MEMS devices became practical when they could be manufactured using integrated circuit (IC) fabrication and device packaging processes (see Photo 1). MEMS mainstream consumer electronics devices include accelerometers, vibration sensors (e.g., burglar alarms and air bag sensors), and microphones. For decades, the promise of MEMS microphones was slow to be achieved, with many development teams eventually giving up. Venture capital investments in MEMS companies rarely reached successful outcomes as the companies just don’t have the patience or staying power to keep pouring funds into research. There are quite a few steps in MEMS fabrication and getting high yields on every step always seemed to be another development phase away (see Photo 2). It took more than 20 years for the first billion MEMS microphones, and two years for the second billion’s production. Today, MEMS microphones are in most smartphones, tablets, and laptops. MEMS accelerometer prototypes were successfully developed at Analog Devices, Inc. (ADI) in 1989, which has processes similar to MEMS microphones. By the mid-1990s, ADI successfully commercialized air-bag sensor accelerometers. Knowles also began development of its MEMS microphone program around the same time. 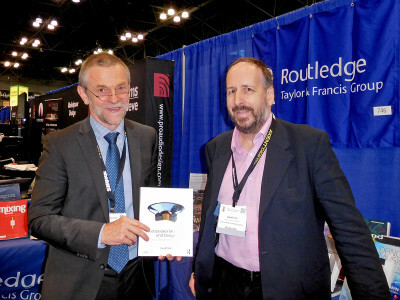 In 2003, Knowles commercially launched its SiSonic MEMS microphones. Other early MEMS microphone developers included Sonion and Akustica (now part of Bosch). MEMS first-generation microphones were noisy and could just reach 50 dBa signal/noise (S/N). 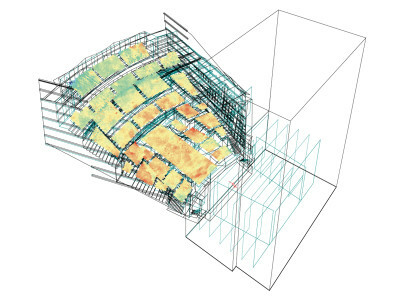 But with continual improvement, the sensitivity increased and the noise floor dropped. By 2010, a few vendors reached 60 S/N, and now the best reach 70 S/N! While microelectrical engineers measure MEMS microphone success by performance specifications, perhaps a more real-world criteria is that MEMS microphones represent more than half of all microphones produced last year. Invensense, Knowles, STMicroelectronics, Akustica, AAC, Goertek, and many others have MEMS microphones in mass production. Many commodity MEMS microphone vendors are really MEMS assemblers buying the MEMS “microphone” element and the ASIC (preamp and sometimes codec), and putting this together in an IC package. Photo 2: Akustica’s single-chip MEMS microphone establishes an industry first in small size, low cost, and high performance. It is show compared to the point of a pen (a) and in actual view (b). Expanding MEMS development from microphones to sound generators is an epic challenge as both the radiating area and the excursion are limited. Yet, MEMS devices have strong next-step development as an ideal receiver for in-canal hearing aids and implantable hearing devices (e.g., cochlear and auditory brainstem implants). These applications have very small “air pumping volume” needed for adequate acoustic output due to their close proximity to the middle ear. An even more ambitious step are in-canal earphones (in-ear monitors), which require not much more acoustic output than implantable transducers. While the industry at large has been able to digitize and shrink all other device electronics, the last remaining barrier is the speaker, which remains large, heavy, bulky, and very analog. An actual commercial MEMS speaker is not yet ready, but I wrote this article while I was in Israel in mid-February. At the time, Audio Pixels had succeeded in reaching the third phase of a four-part commercialization program for the MEMS loudspeaker, including functional prototypes. 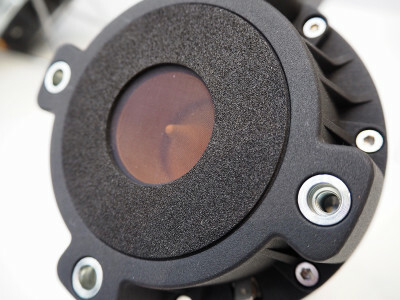 Audio Pixels can now focus on advancing aspects related to mass production and commercialization of MEMS loudspeakers. Figure 1: This diagram shows Audio Pixels’ digital sound reconstruction (DSR) methodology. Could MEMS loudspeakers signal the end of speakers as we know them? When MEMS speakers are viable commercial products, what might be the impact on the speaker industry, practical applications, projected unit costs, and acoustical strengths and weaknesses? For decades, MEMS microphones were all show and no go. Yet in the last few years, they have come to dominate the mobile audio device market. On the other hand, ATCO’s hypersonic array speaker was also going to take over—but that was more of a stock market exercise—and today, it is only a boutique application. NXT was also supposed to bring the “end of the world for existing speaker technology,” but now this flat-panel topology has earned only a tiny market share. The Tymphany linear array transducers (LATs) of a few years ago is another example of a different path to sound reproduction. 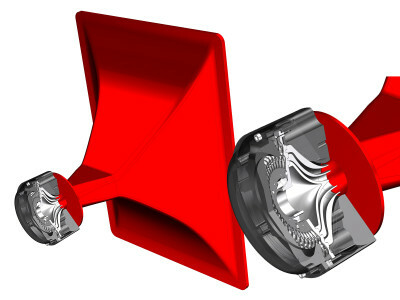 Currently, Tymphany is successfully producing conventional but well-executed speaker designs and no longer offers LATs. With these past “not quite game changers” still fresh in our memories, how might MEMS speakers fit into the speaker industry? It is clear that speakers are going to be a tough application for MEMS technology as speakers need piston area and excursion to move air. One of the first attempts of a MEMS “speaker on a chip” was in 2002, which featured individual addressing of the micro-diaphragms, a mechanism similar to Texas Instruments’ digital light processing (DLP) used for video projectors. Ten years ago at the height of the DLP era, Texas Instruments was the one of the largest MEMS manufacturers. Another early effort took place at the MEMS Laboratory, Department of Electrical and Computer Engineering, Carnegie Mellon University in Pittsburg, PA. This microspeaker array used 256 elements of 200 × 200 μm each. Marginally operational, it could reach only low SPL due to the small amplitude excursion of 10 μm. Other limitations were the low 8-kHz sampling rate, a very low SNR, and an asymmetric impulse response. 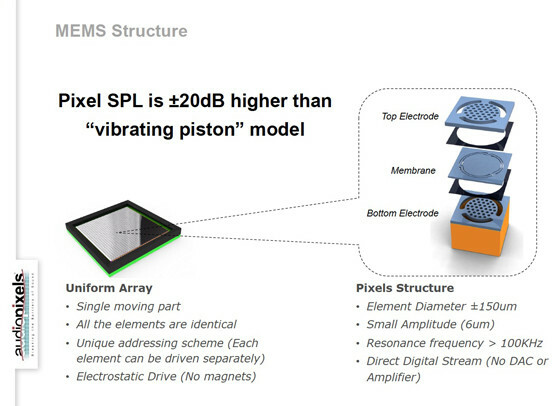 So, it seems the most promising MEMS speaker technology will come from Audio Pixels. The company has pursued an entirely new technique to directly generate sound waves from a digital audio stream. Figure 2: Here is a cutaway diagram of a proposed Audio Pixels digital MEMS loudspeaker. Audio Pixels holds innovative patents in the fields of electromechanical structures, pressure generation, acoustic wave generation, and control, signal processing, and packaging. 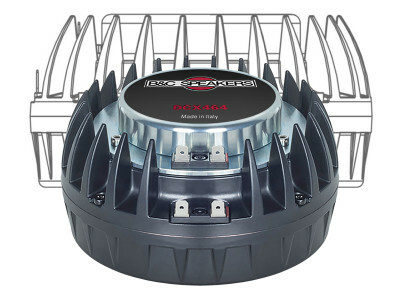 Its silicon chip can be used either as a standalone speaker or cascaded in any multiples of the same chip to achieve required performance specifications. This modular paradigm is comparable to “parametric speakers” such as phased arrays or using more transducers for increasing the dynamic range. 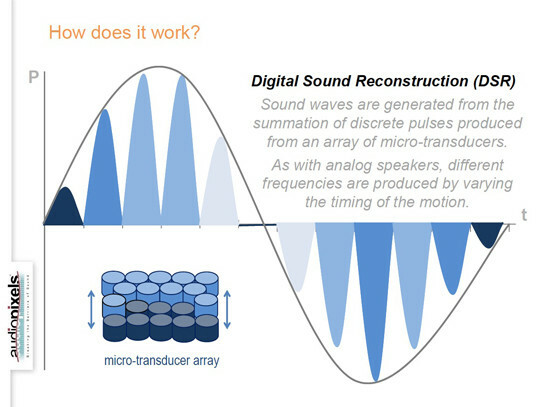 Audio Pixels’ technique is called Digital Sound Reconstruction (DSR) (see Figure 1). 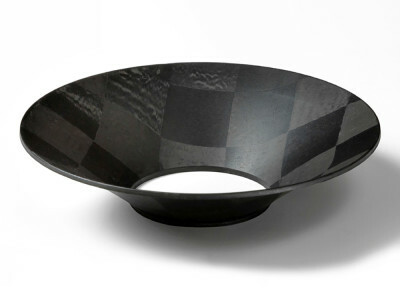 DSR is based on a theory introduced by Homer Dudley at Bell Labs in the late 1930s. The original project at Bell Labs was a secure “digital” speech vocoder for military communications and the “digital speaker” reconstructed the speech on the receiving end. The desired sound wave is generated from the summation of discrete pulses that are produced from an array of pressure generating elements or microtransducers (see Figure 2). 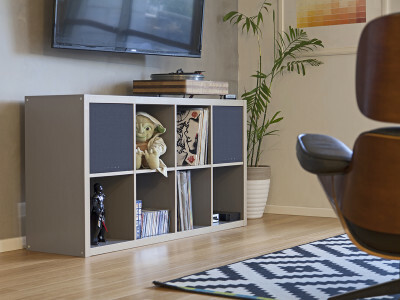 Unlike analog speakers, mini-speakers do not require a large dynamic range. In Audio Pixels’ design, an array of identical elements is used, all fine-tuned to a particular frequency. As with analog speakers, different frequencies are produced by varying the timing of the motion. 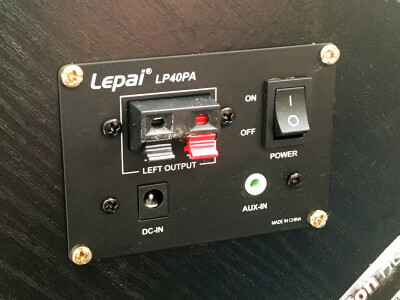 There is no need for external DACs, and these transducers could have higher energy efficiency than existing speaker topologies, potentially lower harmonic distortion, and improved flatness (with simple EQ). Yuval Cohen, Audio Pixels’ CTO, stated that “the MEMS-based Digital Sound Reconstruction platform enables the market for audio speakers to follow the evolution of the video display market from large, heavy analog tube-based monitors to the digital flat-panel displays of today. Driving the rationale for change in audio speakers is the ever-increasing demand for smaller, thinner, clearer sounding, more power-efficient speakers.” While actual commercial MEMS speakers might not be available too soon, the technology is on the path to commercialization. Functional prototypes have been demonstrated and Audio Pixels is in partnership with Sony as one of its MEMS foundry partners and ICsense for the ASIC. 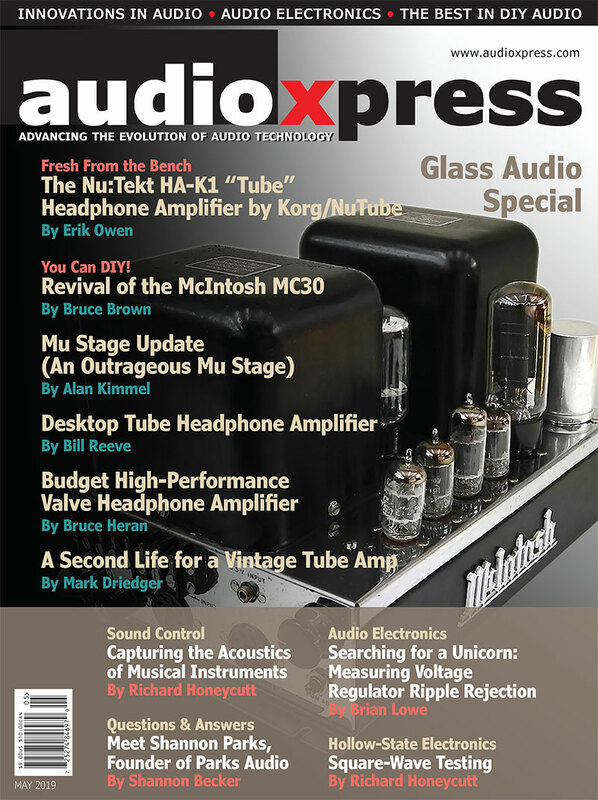 Article originally published in Voice Coil, May 2015.